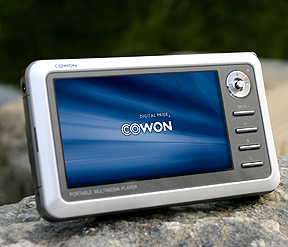 The CowOn A2 Personal Media Player is looking to actually do things right in a market that tends to always release half-assed stuff. It has a 4" screen, 10 hours of battery life in video mode and 18 hours in video mode and DivX, XviD, Mpeg4 and WMV9 compatibility. The 30GB HDD one will cost 420 EUR, the version with a 20GB HDD will set you back 350 EUR. A bit expensive but looks like it actually could be worth it.